Report on the UMass Lowell Center for Irish Partnerships visit to the National University of Ireland Galway on March 5-10, 2010. A report on research and scholarship opportunities between UMass Lowell and various organizations in Ireland and Northern Ireland. The script for Kevin Cullen's video presentation at the Irish in Massachusetts: Historical Significance, Lasting Legacy conference. UMass Lowell students Andrea Andzenge and Donna Hackley, center left and right, presented at a conference entitled “Fifteen Years of 1325: New Perspectives on Peace & Security” at the Institute for the Study of Conflict Transformation and Social Justice” at Queen’s University Belfast. They are joined by Dr. Maria Deiana, left, from Queen’s University and by UMass Lowell Prof. Paul Rayman. Membership list of the Center for Irish Partnerships 2014 advisory board. A chronology of Center for Irish Partnerships Activities from September 2008 to April 2011. An internal document of the UMass Lowell Center for Irish Partnerships detailing the collaborative possibilities in politics, public policy and public administration with University College Cork. Report on the UMass Lowell Center for Irish Partnerships visit to Belfast on April 10-14, 2010. Flyer advertising a lecture by Ely Janis, Associate Professor of History at the Massachusetts College of Liberal Arts on the Irish Ladies' Land League. The event was held on Monday, March 6, 2017 at the UMass Lowell Inn & Conference Center. Lecture on the revival of the Irish language in the North of Ireland by Dr. Feargal Mac Ionnrachtaigh at UMass Lowell. Delegation from UMass Lowell visits Queen’s University Belfast to discuss expanding partnerships opportunities. Clockwise from front: Vice-Chancellor Patrick Johnston (QUB), Joe Hartman, Paula Rayman, Tom Millar (QUB), Medhi (can’t remember last name, former dean of pharmacy at UML), Yvonne Galligan (QUB), Nicola Skellly (QUB), Shortie McKinney, Mark Hines and Julie Chen. Frank Talty at Queen's University Belfast, discussing the 2016 US presidential election. Invitation to the civic dinner to welcome the Boston sister city guests to Belfast as part of the Friendship Four Festival. The dinner was held on Wednesday 25 November 2015. Initial proposal for a collegiate ice hockey game to be played in Belfast in October 2011. 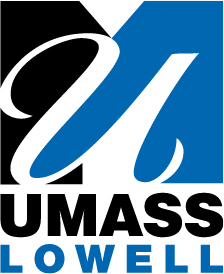 Executive summary issued by the UMass Lowell Center for Irish Partnerships. A brief history of the Belfast Giants ice hockey team. An appeal for donations to sponsor the UMass Lowell River Hawks hockey team's trip to Northern Ireland to play Northeastern University in Belfast. A list of potential sponsors is appended after the main document. A flyer advertising a talk and discussion with Dr Feargal Mac Ionnrachtaigh on research undertaken for his widely acclaimed book Language, Resistance and Revival: Republican Prisoners and the Irish Language in the North of Ireland . The event was held on Thursday, March 5, 2015 at UMass Lowell University Crossing.